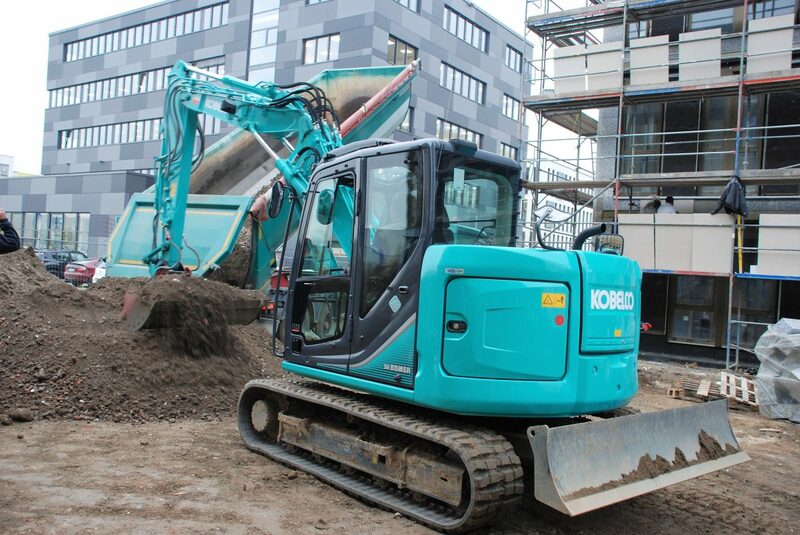 Vladimir Pesnjak - Kobelco Construction Machinery Europe B.V.
Picturesque Monheim is situated on the Rhine, 25km south of Düsseldorf in Germany. 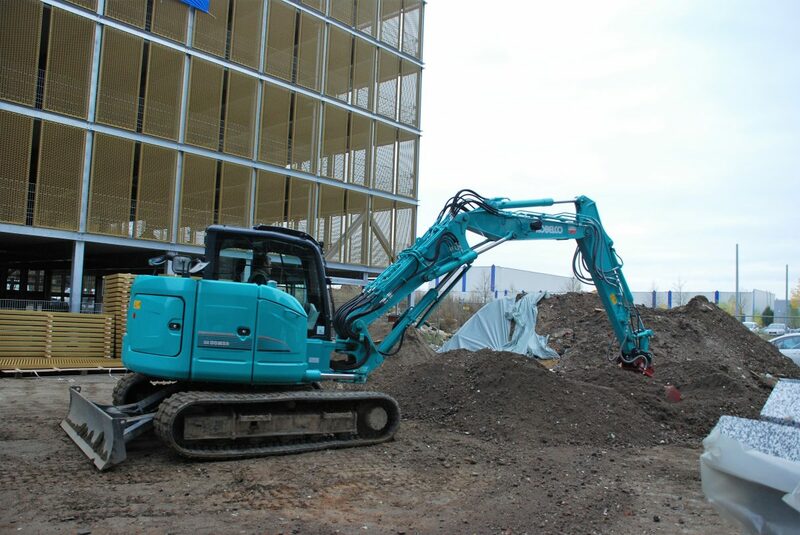 Formerly a 250,000m² refinery site, the area has been undergoing development into a first-class business park since 2010. With tenants such as Goldbeck and OXEA Chemical, Monheim now represents one of the most attractive business hubs on the Rhine. 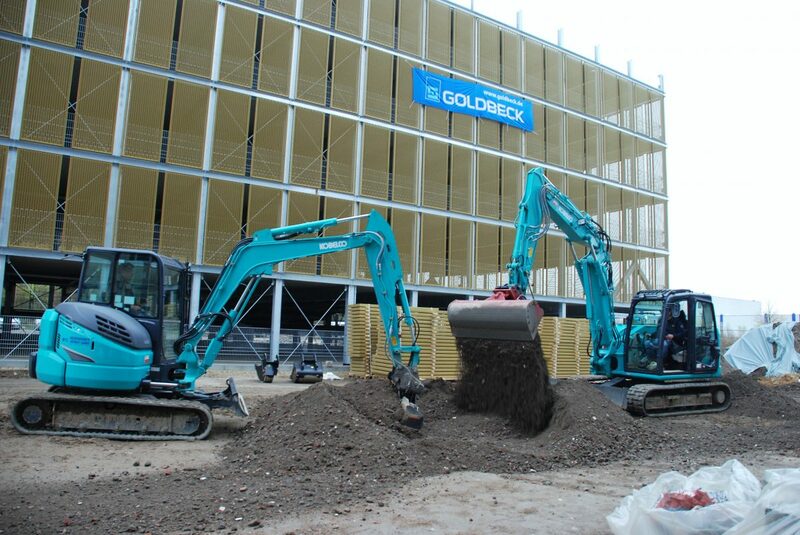 Founded less than 12 months ago, Wezendonck Tiefbau GmbH from Oberhausen was integral to the redevelopment of the Monheim business park, and in particular, in the earthworks. 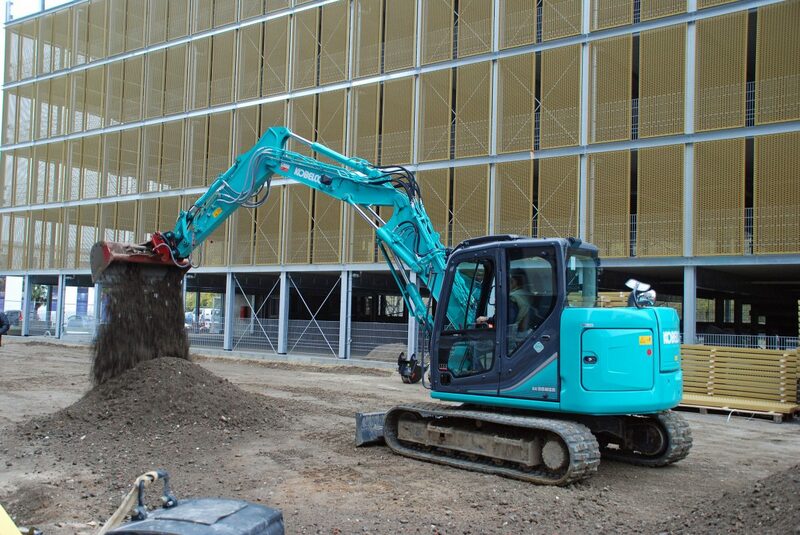 Despite its relative infancy, the company has become renowned in the region due to its work on the site. 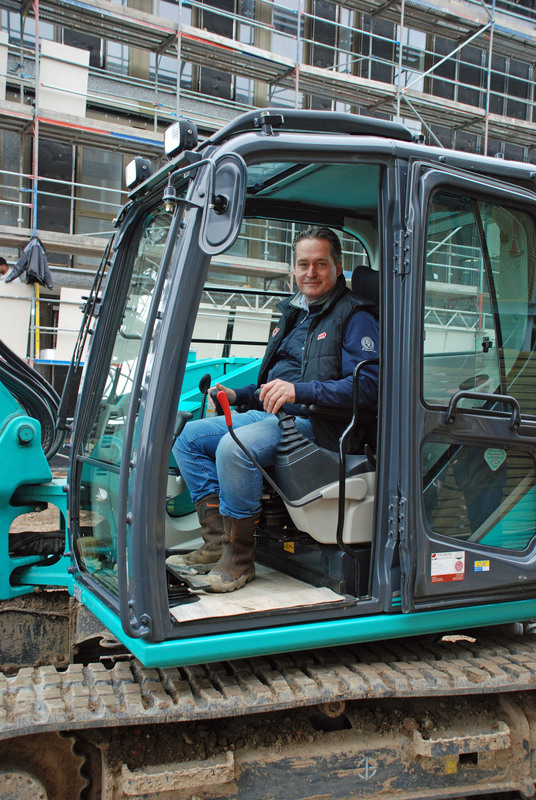 Unsurprisingly, company owner, Sebastian Wezendonck, relies on first class and reliable construction machinery for the project – any prolonged downtime costs the company money. 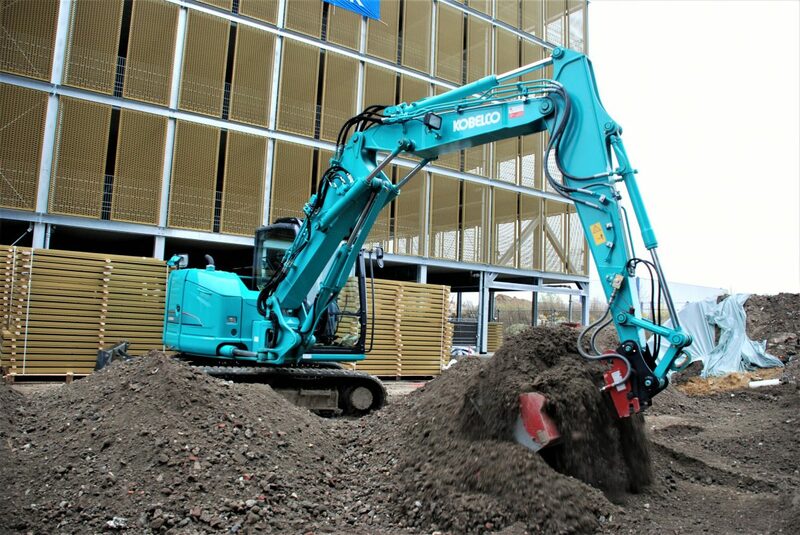 It is therefore not surprising that his fleet of construction equipment includes a number of Kobelco excavators, including the compact SK55SRX-6 and SK85MSR-3.